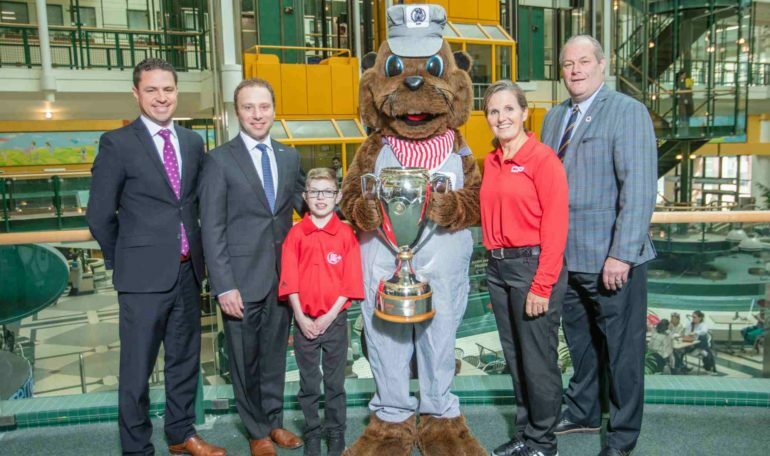 TORONTO – Canadian Pacific (CP) and Golf Canada today announced that SickKids Foundation has been chosen as the primary charity partner for the 2019 Canadian Pacific Women’s Open. The 2019 CP Women’s Open will see Canadian sensation and CP ambassador Brooke Henderson defend her national golf title against the top LPGA Tour players in the world from August 19-25 at Magna Golf Club, in Aurora, Ont. This year, CP will be working with Kyle Hayhoe, a child ambassador for SickKids Foundation. Kyle was cared for at the Hospital for Sick Children (SickKids) for four months after he was diagnosed with a hypertrophic obstructive cardiomyopathy at only seven weeks old and required a heart transplant. Now, when Kyle isn’t attending his regular check-ups with the heart transplant, respiratory and nephrology teams at SickKids, he can be found on the golf course perfecting his swing. Funds raised through the CP Women’s Open will go towards renovating a Cardiac Operating Suite at SickKids. In addition, CP is also proud to support our tournament host community this year. CP will make a donation of $250,000 to Southlake Regional Health Centre in Newmarket, Ont. to support paediatric cardiac care. In 2018, Brooke Henderson became the first Canadian to win the country’s National Open Championship in 45 years, shooting 65 in the final-round for a four-stroke victory at the CP Women’s Open in Regina, Sask. Jocelyne Bourassa was the last Canadian to win the event, when she was crowned Canadian champion in 1973. “On behalf of all Canadian golf fans, I’m eagerly awaiting the opportunity to see Canadian golf superstar Brooke Henderson defend her title,” added Applebaum. This is the first time the Greater Toronto Area will play host to a major LPGA Tour event since 2001, when the event was held at Angus Glen Golf Club in Markham. The 2019 CP Women’s Open will run August 19-25, 2019 at Magna Golf Club in Aurora. Tickets and corporate hosting are available for purchase at www.cpwomensopen.com.